As the Festival kicks off today, we're highlighting the films we've got our hearts set on seeing. The 17th Tribeca Film Festival begins in New York today, and we're spotlighting films that show Africa and the diaspora like you've never seen them before. From the Okavago Delta in Angola to the ballot boxes of Minnesota, these films aim to transport viewers through the continent and beyond, showcasing the diversity that exists in each person's story. The Tribeca Film Festival was started 18 years ago, in the wake of 9/11. This year, the organizers are commemorating the spirit in which the Festival began, and celebrating the potential of the arts to make real change in societies across the world. "This year's Festival proclaims that the arts have the unique ability to heal and reach across diverse groups with the universal truth that society can be enriched and strengthened through storytelling," writes Tribeca Enterprises CEO, Jane Rosenthal. Check out our picks for this year's Festival below, with words from Tribeca's website. As the Earth's truly pristine expanses disappear more and more each day, the Okavango Delta remains an Edenic oasis with an abundance of animal species roaming its air, water, and land. But despite the spectacular sights of African elephants splashing in the river, rarely seen birds soaring above, and wildebeest migrating across its grassy expanses, the Okavango river basin—which provides water to more than one million people—is under dire threat. When troubled American teenager Eze (Antonio J. Bell) is sent away to his mother's native Nigeria against his will, he quickly finds himself entangled in a dangerous web of scams and corruption, with his magnetic con-artist cousin Pius (Chinaza Uche) as his guide. 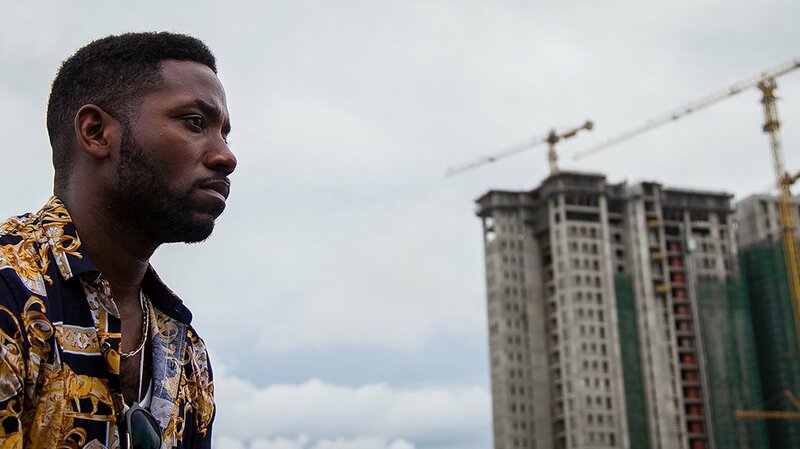 Nigerian Prince, the electric debut feature from writer-director Faraday Okoro, seamlessly blends thrilling sequences of elaborate deception and dramatic tension with surprising moments of humor, making it so much more than a fish out of water tale. Newcomer Uche is a particular revelation as Pius, his confidence and cunning matched only by the sadness underlying his performance. The film is shot in Lagos, and writer-director Faraday Okoro was the first winner of AT&T;'s Untold Stories program, which supports underrepresented filmmakers in the industry. Okoro won $1 million to produce his film. With a fighting spirit and a storyteller's heart, Rukia looks to start her life over in a new land. Peter Nyaga, a charismatic preacher, has already found his answer, but it means he cannot waste even a train ride in spreading his gospel—and shilling his book. And Maasai elder Isaya embarks on a multi-day trek home, joined by his grandson William, who is more interested in pursuing his career as a performer in the city than in carrying on the ancient traditions of his people. Tribeca alum Jeroen van Velzen's ruminative, captivating road movie follows three people finding their way, literally and figuratively, on a train journey across Tanzania. Each has already overcome considerable hardships, yet, in some sense, they appear unable to keep up with the fast-changing society around them. Nicolas Brown's visually rich and thought-provoking documentary profiles scientists from around the globe whose parallel experiments with different ecosystems have led them to similar, surprising conclusions about the relationships between predator and prey and, by extension, the balance of life on our planet. The conclusion these disparate thinkers and experiments reach speaks to the essential role played by so-called "keystone species" in preserving the balance of an ecosystem and protecting it from collapse. To prove its thesis, The Serengeti Rules traverses the Pacific Northwest, Peru, the Aleutian Islands, and the Serengeti, bringing to life the simple-but groundbreaking discoveries these scientists have made throughout the last few decades. 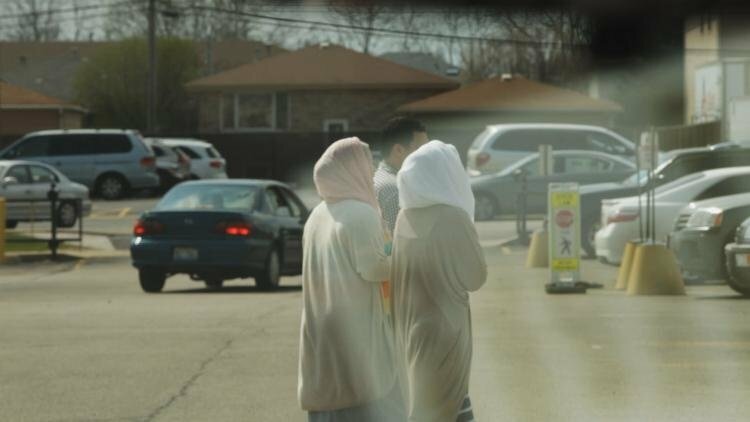 "The grey area between paranoia and the truth is a dangerous place," says Algerian-American filmmaker Assia Boundaoui at the outset of The Feeling of Being Watched. Boundaoui hails from a predominantly Arab-American enclave in Bridgeview, Illinois, just south of Chicago, where rumors of F.B.I. surveillance circulated throughout the '90s and early '00s. A public radio journalist by day, Boundaoui sets out to uncover why her family and neighbors were targeted and whether that scrutiny was justified; in the process, she discovers the wide-reaching effects of constant surveillance on the community's relationships with law enforcement and with each other. Ilhan Omar is an immigrant and a Muslim woman. She wears a headscarf—and she wants your vote. Like many in her community, Omar immigrated to the United States from Somalia in the '90s. As the community grew, Omar observed an increasing disconnect between the citizens and the public officials who represented them. So, in 2016, she decided to do something about it. 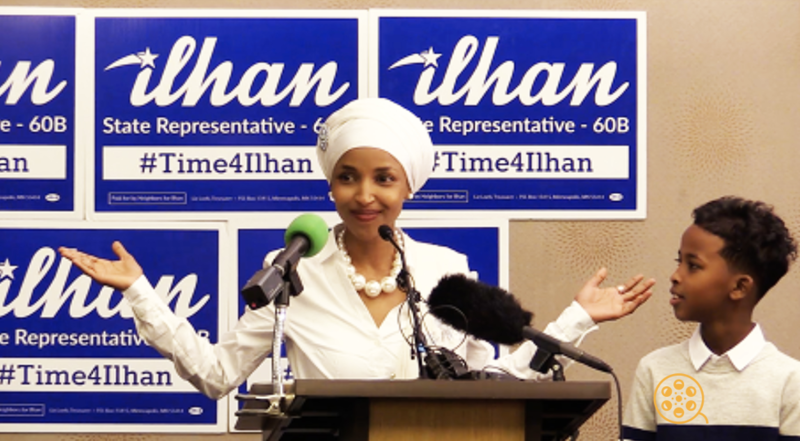 Following the candidate from her first day on the trail, this documentary brings audiences a rare inside look at a campaign as Omar, a political outsider hoping to become the first Somali-American legislator elected in the United States, takes on a 43-year incumbent for a seat as Minnesota state representative. In Kenya, the intersecting lives of three men crystallize the fierce conflict over conservation efforts in the country's vast northern plains. There's X, the calculating ivory dealer; Lukas, X's most trusted elephant hunter; and Asan, a wildlife ranger whose task it is to prevent and deter poaching. To complicate matters, Asan is X's cousin. For all three, this pressing debate is not simply a matter of environmentalism—it's a fight for survival. Both poacher and ranger struggle to make ends meet, while various external forces, as well as their own actions, conspire to undermine their efforts—that is, until they're presented with an opportunity that might reverse both of their fortunes.